Christian Brothers College High School has been a great experience for me and has helped me develop into a professional in the field of athletic training. 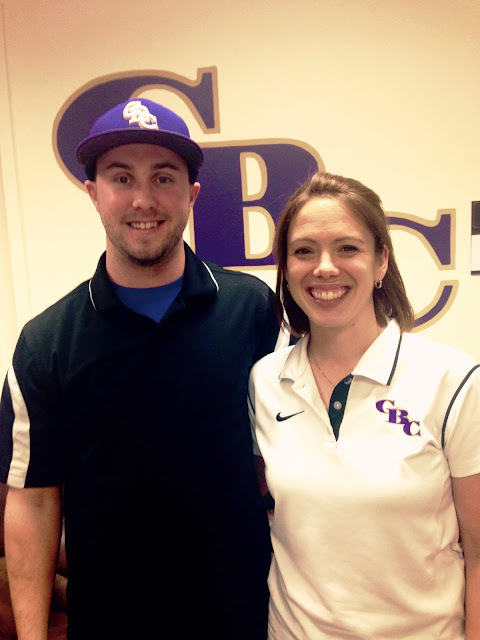 Kristen Jeans ATC, the head athletic trainer at CBC, has been at CBC for the past ten years. Kristen is one of the best preceptors you could ask for because she gives you an extremely large amount of autonomy when it comes to treating athletes. 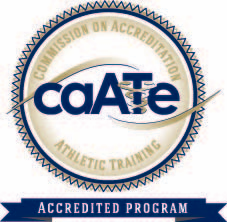 Rather than just acting as an athletic training student, I am allowed to function as if I am already an athletic trainer, but still under the supervision of one that is certified. Not only is she there to answer any questions I may have, but she asks for and values my opinions as well. We work as a team when treating our athletes, which provides a good demonstration as to how all athletic training settings should function. This clinical experience has allowed me to cultivate relationships as well as build trust with the coaches and athletes that we care for. I feel as much a part of the CBC athletic program as any other staff member employed at the school due to the friendliness and respect that is given to me from each individual in the building. Not only have I been able to build good relationships, but, most importantly, I have been able to build confidence in my ability to treat athletes on my own. I have experienced what it is like to make the decision whether or not to refer an athlete, send them in an ambulance, or treat them in house, which is a scary thing for an athletic training student who had never made that type of decision. My clinical rotation at CBC has made me believe that I could cover any athletic event on my own and be able to provide excellent coverage and support to the athletes who are in my care.